The decline in island population numbers during the first half of the last century is well-illustrated in the answer, involving a series of place-names and figures, to a parliamentary question – reported in Hansard in December 1960. There was, for example, a 50% reduction at Rhenigidale during that time. However, two facts should be stated. The school population in the village is now five in number and the pupils are taken by bus to the excellent facilities in Tarbert. 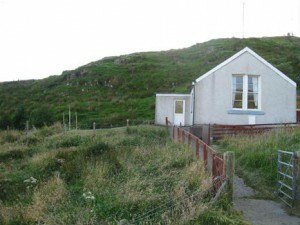 The schoolhouse is still evident and has become suitable for all ages – by becoming self-catering accommodation.